The perfect way to have a unique, private experience with your family or friends. Suitable for groups of up to 6-7 people, our luxurious chauffeur driven tours are the perfect way to see the Cotswolds. Avoid the crowded coach tours, busy buses and expensive trains. 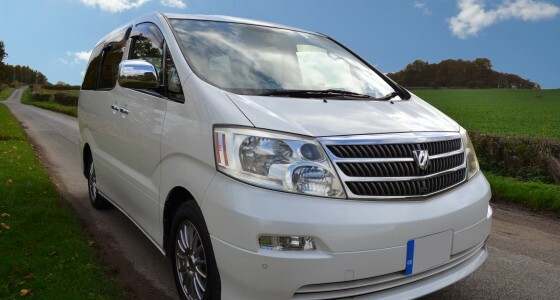 See the Cotswolds from the comfort of one of our luxurious Japanese MPV’s with a driver-guide who knows all about the local area’s culture and history. Ideal day trips from London for those who are short on time. As our vehicles are small and as the tours are private we can access all the places that the larger tour companies are not allowed to visit. We allow you to decide on your own itinerary including where you want to stop and the kind of things you want to see. Of course we can also help you devise a suitable schedule or you can use one of our suggested itineraries and leave everything to us! The best thing about these tours is as the routes aren’t set they allow a bit of spontaneity and we can go with the flow of the group rather than having to worry about sticking to a fixed schedule. Our tours last a full 8 hours and we will pick you up from anywhere within the Cotswolds in the morning and drop you back there when the tour is over in the evening. For an extra charge we can arrange pick-ups and drop-offs outside the Cotswolds and we can also help you book your accommodation in the Cotswolds. Public transport in the UK is surprisingly expensive and often one of our tours is much more economical for a small group or family than making your own way around by bus or by train.